Traditionally, a severe dental malocclusion (Class II or III) requires a bulky headgear, multiple dental extractions, and/or jaw surgery to move the teeth and upper jaw into the correct position. Fortunately, board-certified orthodontist Dr. Saoly Benson offers an alternative to these uncomfortable and invasive treatments with the Carriere Motion 3D correction appliance. The Carriere correction appliance is placed inside your mouth and attached to your back teeth so it can gently and discreetly move your teeth into place before your regular orthodontic treatment. By first using a Carriere Motion correction appliance, you can shorten how long you have to wear braces or removable aligners by first moving your upper or lower teeth into proper alignment. To learn more about Carriere Motion 3D correction appliances, schedule your consultation with Dr. Benson at The Art of Braces in Las Vegas, NV. "I’ve never been more impressed with an office before, it’s been perfectly designed and decorated. Dr. Benson is detail oriented and efficient, using the newest technology and techniques. Everyone is helpful and respectful of my time, I look forward to each visit and am so excited for my future smile!" "Dr.Benson and her staff are the most amazing, kind, professional and knowledgeable orthodontist I've ever been to! After many years of hesitation and searching I got lucky to find the Art Of Braces. Dr.Benson is very gentle and attentive to detail. My daughter and I are now both in treatment and we couldn't be happier, we can already see the results!" 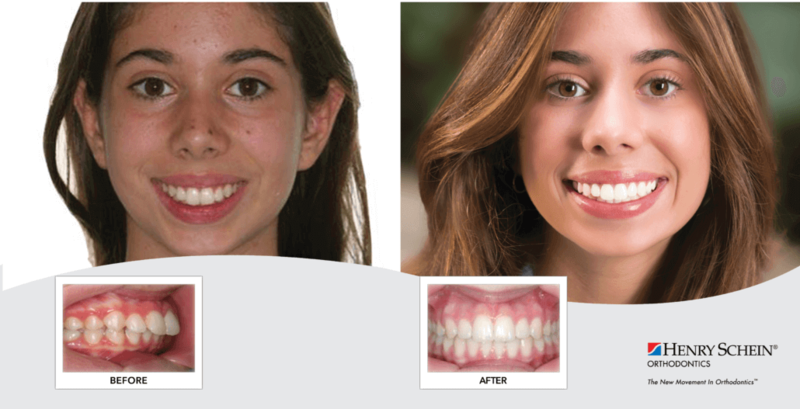 Carriere Motion 3D correction appliances are worn before your normal orthodontic treatment (braces or removable aligners) for Class II or III malocclusions (overbite or underbite). 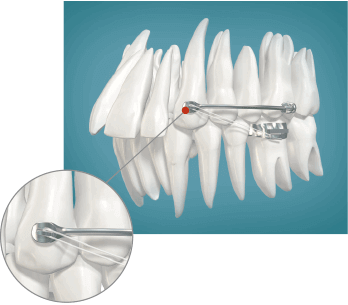 By using a correction appliance, you can reduce your overall treatment time. The Carriere Motion correction appliances eliminate bulky facial appliances (headgear) that affect your speech and can be embarrassing to wear. This is especially important since many patients will refuse to wear traditional headgear in public so the treatment doesn't work as well as it should since it's not being worn all the time. Carriere Motion correction appliances are gentle, hidden on the back teeth, and cannot be taken out so you won't have trouble sticking with your treatment. Based on the alignment of your teeth and jaw, Dr. Benson will choose either the Class II or Class III correction appliance for your teeth. The correct appliance will be bonded to your teeth and you will be shown how to take the elastics on and off for eating and cleaning. You will need to schedule follow-up appointments so Dr. Benson can check on the progress of your teeth and adjust your treatment plan as needed. Once your teeth are in a better position, Dr. Benson will remove the correction appliance and start your orthodontic treatment. You may choose a traditional orthodontic treatment, like clear ceramic braces or you may prefer removable teeth aligners. In either case, by first using a Carriere Motion correction appliance, your orthodontic treatment should be easier and take less time. The Carriere Motion 3D correction appliance is included as part of your comprehensive orthodontic treatment plan. If you have dental insurance with orthodontic benefits, our office will contact your provider to determine if they will cover any of the cost before we calculate your out-of-pocket expenses. The Art of Braces offers no-interest, flexible payment plans to make it easier for you to get the smile you want. To jump-start your orthodontic treatment by correcting a Class II or III dental malocclusion, The Art of Braces offers Carriere Motion 3D correction appliances. Discreet, gentle, and effective, Motion appliances move your teeth and jaw into the proper position before you move to braces or aligners. Schedule a consultation at The Art of Braces in Las Vegas to learn more about correction appliances for underbites and overbites.